Mpact Recycling, which is a leading paper and PET recycler in South Africa, collects approximately 630,000 tonnes per annum of recovered paper and plastic. The paper goes to the Mpact Group’s paper mills for processing into recycled-based cartonboard and containerboard and the PET bottles go to its recycled PET (rPET) plant – Mpact Polymers – for producing recycled PET bottles. 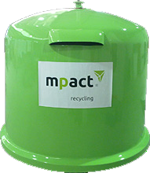 Mpact Recycling is the leading paper and plastic recycler in South Africa and has partnered with the Tammy Taylor Mrs South Africa pageant, a woman empowerment programme, for the fourth consecutive year. 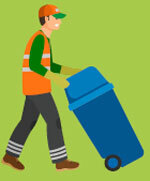 Take part in the Mpact recycling schools competition! Mpact Recycling is giving nursery schools, primary schools & high schools in Gauteng, Pretoria, Midrand, Durban, Richards Bay & Cape Town the opportunity to win prizes to the value of R20,000 per area. Did you know that the paper cartons used to package fruit juice, milk, iced tea, flavoured milk, wine, custard, and dry goods like muesli and pet food are now recyclable? 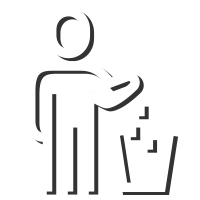 The Mpact Recycling Kerbside Paper Pick-Up Programme is a free service. We collect in your area every week/ every second week (excluding public holidays) as per the calendar. Ahead of its second Global Recycling Day, 18 March 2019, the Global Recycling Foundation is asking children across the world to make better recycling practices one of their 2019 New Year’s resolutions. 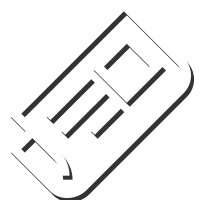 Support your local school, church or community centre by dropping off your used paper products at one of our paper banks. These igloo-shaped banks are placed in locations throughout the community, where anyone can deposit wastepaper. Find the paper bank nearest to you on our paperbank search page. We currently collect used paper products from the kerbs outside almost 200,000 homes in Johannesburg, Ekurhuleni and Tshwane. Mpact Recycling, formerly Mondi Recycling, has been offering householders this convenient and hassle-free collection service for over 20 years. 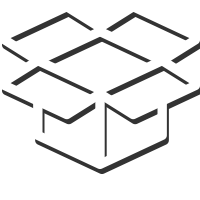 Liquid carton packaging such as milk and juice cartons, as well as PET bottles can all be recycled. It’s important that you rinse the liquid’s packaging before you recycle it as you reduce the risk of pests and you increase the dignity of the people who collect and sort the recyclables. For the past 4 years, Mpact Recycling and Mrs. SA have partnered to spotlight the importance of recycling and to increase recycling volumes within schools and communities. Mrs. SA is a female empowerment beauty pageant with a difference. Delegates are between the ages of 25 to 49, married, often mothers, and widely successful in their careers. Take a look at some of the exciting work they’ve done, and be on the lookout for the 2019 semi-finalists coming to your area! Happy Easter Weekend! Whether you’re looking forward to the spicy hot cross buns or the delicious chocolate eggs, please don’t forget to recycle the packaging. Newspapers, white office paper, cardboard boxes and long-life milk and juice cartons are all recyclable items. Not only does recycling your paper and cardboard items generate over 100 000 income opportunities, but it diverts pressure placed on landfill too. Have you ever wondered what the difference between a linear and circular economy is? This month, we cover the distinction in our Recycling Tutorial. Mpact Recycling believes in a circular economy, because with it, value is added on to value. In SA alone, 100 000 income opportunities have been created from people working with recycling. Let’s keep this loop going! Why should you, your schools and your communities recycle? 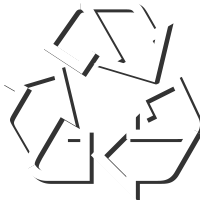 Because recycling is a phenomenal practice, which not only creates many job opportunities, it alleviates pressure placed on to landfill and provides a more sustainable place for us all to live in.